So I guess we could make a topic where you can post updates on whatever nice things you've mined (like epicaving or strip mining). Edit: You can also brag about other items/blocks you've gathered. * bong looks at fortune III guiltily. Heres a pretty decent haul from exploring the abandoned mines plus the epicave/ravine complex. It doesn't include the coal that I had to use for torches though and a question for everybody, when mining/caving, do you usually toss the flint? Also, I was exploring the abandoned mines and collecting rails much of the time, but I did mine wherever I could. Depends on how much I want to mine. 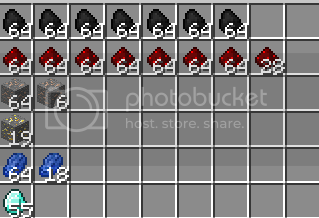 If I go to a serious epicave, I toss everything except diamond, gold, lapis, iron and coal that I find. I don't mine redstone. 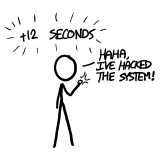 Sometimes I don't mine coal either, usually I mine a limited amount of coal, and toss everything else. 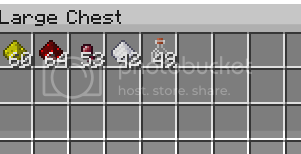 During such runs I have gotten more than 9 stacks of iron sometimes. Anyways, Im practicing spelunking with Phantomninjah in this other sever so i dont lose anything valuable. Let me give you a tip for the skeletons, when you get attacked by one, hide behind a corner to make them come into melee range, works every time. For the situation where you can't hide behind a corner (usually an open space), just rush them, or make your own corner out of cobble. A splunk from today. The cave still has plenty of stuff, and if anyone wants to check it, you can enter it from the coords (1259,77,-829) where I dug a spiral staircase down. The closest station is in Zuntriio. So when you do mining, do you strip (ignore that) until you hit a cave or something? Then you explore the cave and keeping strip mining. Generally I check out the area, both to explore a bit and to secure the area from mobs. If its a big cave, I'll at least secure the area and move on, if its a small one, I'll just grab whatever ores there are and seal it off/move on. OK. I just have a verrrrrry minor heart attack, and block it off. 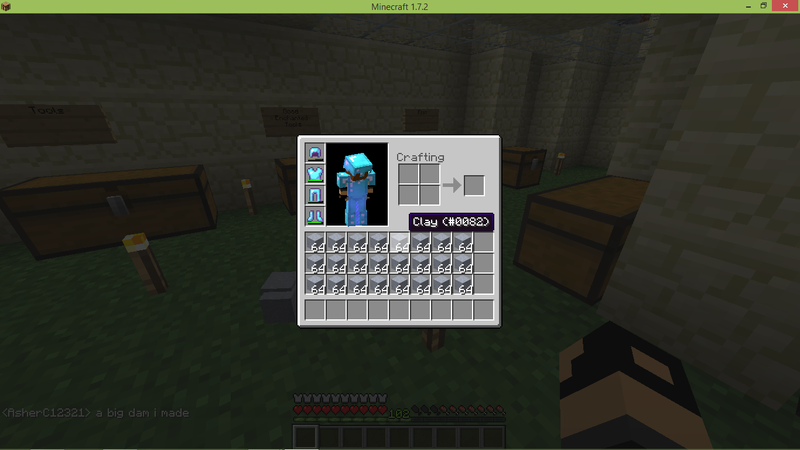 Then, i move on to the next ore. Once, on my lucky day, i mined at head level 12 and got 10 diamonds and 10 gold. 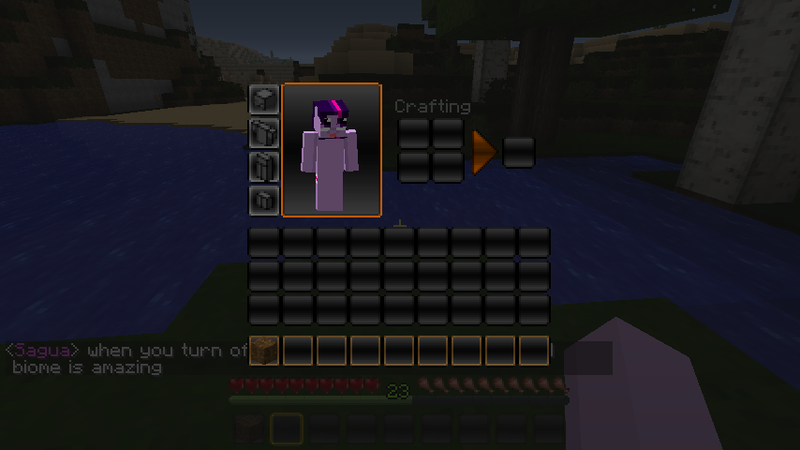 Also, I have fortune 3 so I got 20 diamonds! Without hitting a single cave. From the new branch that I made for the strip mining and subsequent ore extraction (also includes ore mined from revealed caverns, ravines, etc.). BTW, has anybody ever seen a 1 or 2 block wide ravine (more like a crevasse than a ravine)? Because I found one. It didn't have the usual connected cavern system, although an abandoned mine does pass through it. holy, how long did you take to mine that? The tunnelling phase took a few days and the ore extraction took maybe a day, or two. 2 iron spades (oddly enough, two zombies dropped iron spades in the caves). Please don't ask for an expalantion for why I have 4 legs. Its a glitch that happens when you're sitting in a minecart and look at inventory. 1.3 is really nice for the enchantments. Got a Fortune 3, Efficiency 4 pickaxe. Splunked. The pick paid itself back more than 15 times and is only half used. It's publicly available to being borrowed in the newly built Spawntown Public Powertool Library, at Shaft Square, outside the public storage in Spawntown. The borrowing system is explained in a book inside the building. Felt bored and so I usually do boring stuff when bored (tree farming, general farming, branch mining). Spent about an hour and 30 minutes in my branch mine. This trip now holds the record for the most diamonds I have ever gotten from one single trip. (the second and third places go to 48 and 46 though). 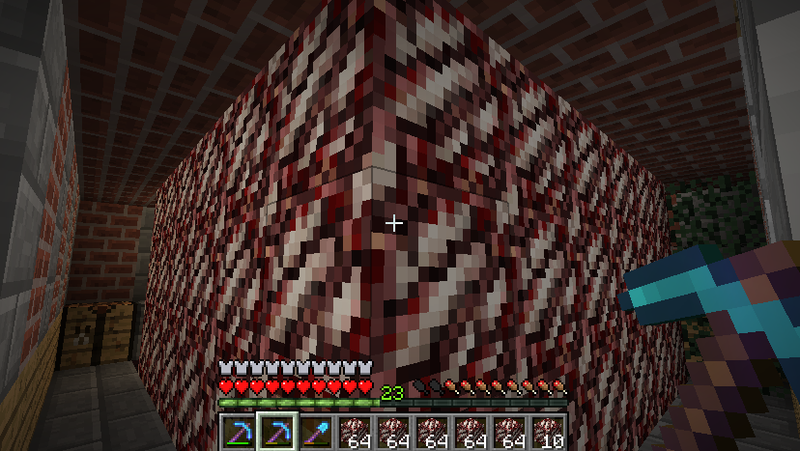 I mined every ore I ran into and this was the result. I'm very satisfied. You did use a fortune 3 pick hopefully? Nice though. ok i suppose this isn't stunning, but its more diamonds than the total i've even acquired in all my blacraftic spelunking and mining exploits up until today. Okay now i think the diamond total is >800. Spend a few hours doing this. what enchantments in that helmat ya gothere? Took me all night but I finally got it. Nice can I have it? 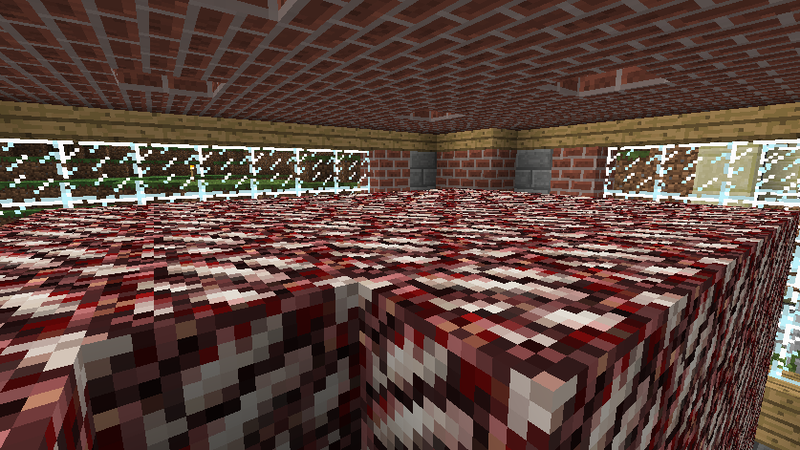 I need rename it "Kalassak's dirt block". Then if someone steals it, it has an I'd. Well for the first day of the witch farm it isn't bad. Probably about 45 minutes of afk. Atleast 1/3 of drops despawn atm because of a bug that needs to be fixed, so this should be higher. Forgot to include the 56 gunpowder and 2 stacks of sticks. besides this i repaired my diamond armor, got a bane of arthopods 5, and silk touch 1 pick. am i right to say that there was once 275 blazes in that 6 block space? My first quartz getting trip! It compresses down so easily! 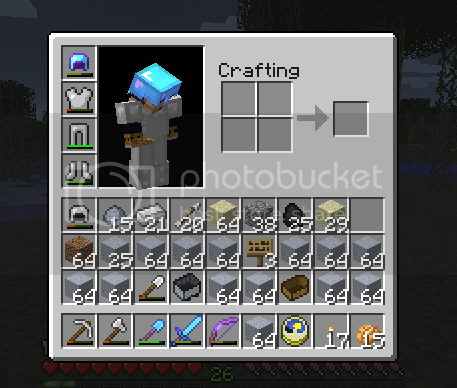 I still collect glowstone so I get an extra inventory slot by just carrying one pickaxe.